North Raleigh Whole Foods Grand Opening March 16th! 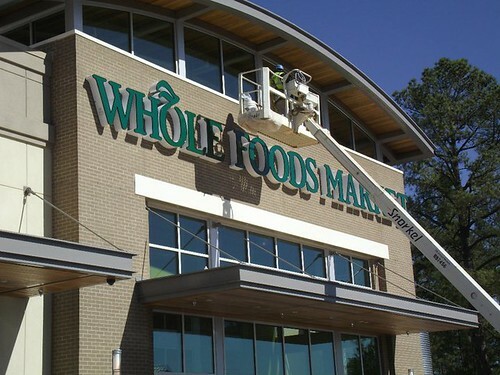 I just received word that the long awaited North Raleigh Whole Foods will open Wednesday March 16th with “sneak peak” tours available on the 13th and 14th. You need to register here if you would like to attend one of the sneak peak tours. The 40,000 square foot Whole Foods store will serve as the anchor for Regency Center’s Market at Colonnade retail center. The new store is located at Six Forks Road and Colonnade Center Drive in North Raleigh, just one mile south of I-540. I made reservations to take a tour! I love Whole Foods and am so curious about the new location! Me too. I hope to check it out and get some pictures before they open. We are really excited to have a Whole Foods in this location. I know a lot of people are looking forward to it and not having to drive over to the one on Wade Avenue! Thanks for checking out my blog Emily!